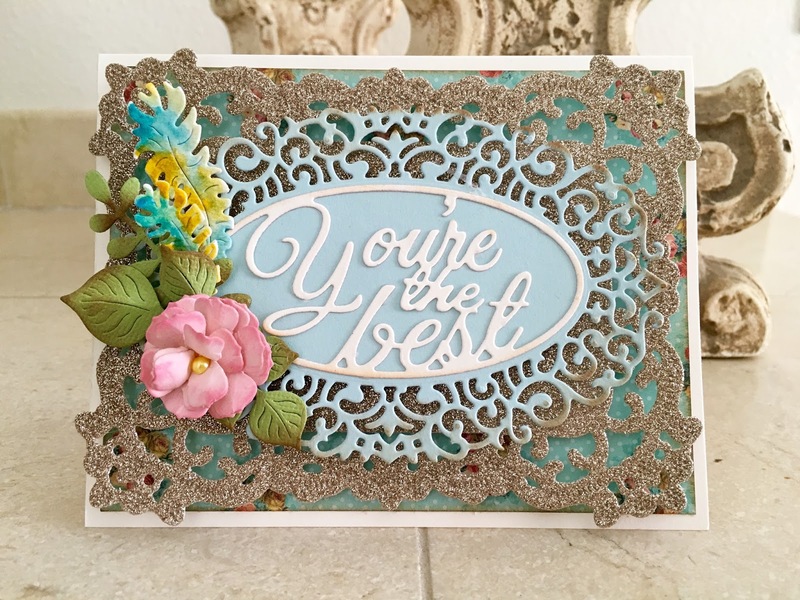 Hi there, it's been a while since I posted, but today I have a fun card to share with you with one of our newly released Cheery Lynn Designs dies. To create this card I cut an A2 size card base horizontally. Next I cut a smaller size rectangle to fit on my card front out of patterned paper. Next I die cut a Fiona's Magic Mirror out of glittered gold card stock and adhered it to the card front. Next I die cut a Dutch Daisy Oval Doily out of light blue card stock and die cut the brand new You're The Best die out of cream card stock and adhered it to the doily. Next I die cut a Small Gardenia out of pink card stock and built my flower and added a yellow half pearl in the middle. Next I die cut the flourishes from the Floral Bouquet Kit Die set and also the Flourish #13. Finally I die cut the Feathers from water color card stock and painted them in and added them to my floral piece. 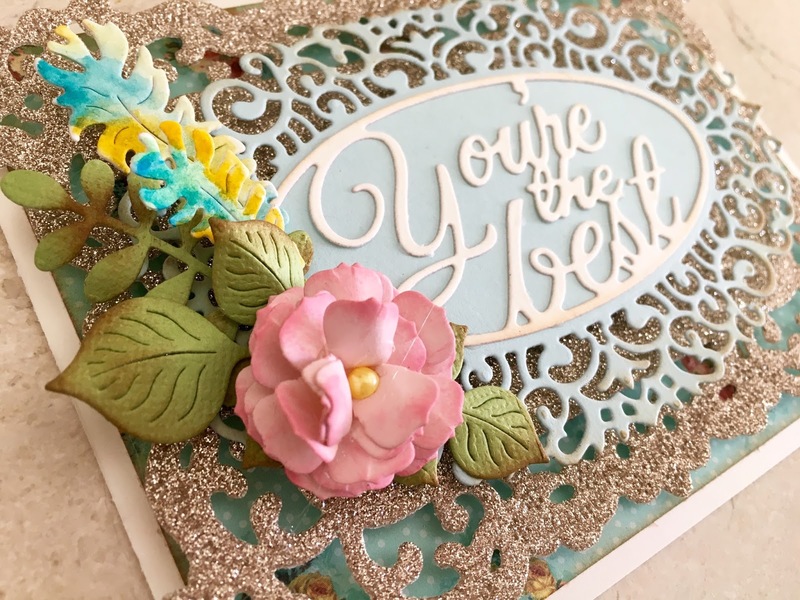 Thanks for stopping by and hope to see your creations in our most current challenge!